Wheely Tots is now registered with Give As You Live, an online fundraising platform where our supporters can raise funds for us when shopping online. This costs you nothing as the buyer, the online store passes a percentage of your total purchase price in commission to Give As You Live and 50% of this is passed to Wheely Tots so you can support us just by shopping online. You can find out more about how this works here. 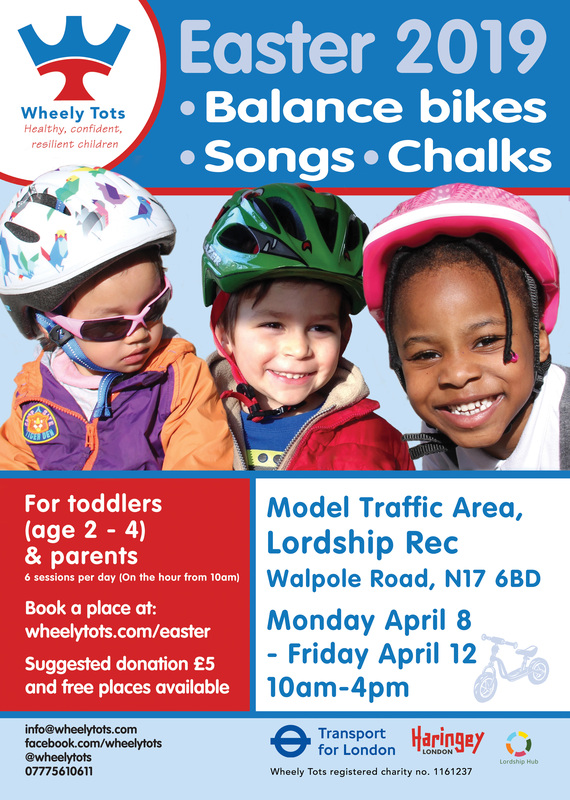 To register with Give As You Live and support Wheely Tots, please sign up on our landing page. It takes a lot of preparation and hard work – much more that you would initially think! One of our awesome families developed an open source pollution sensor that measures PM10 , 2.5 and NOx along with temperature, humidity and pressure and plots all this data on a map! Why Do Wheely Tots like this? Borrow the sensor for a week to see if it influences the way that you travel about the place eg tube vs bus vs car vs bike vs walking….or which routes are less polluted than others…. 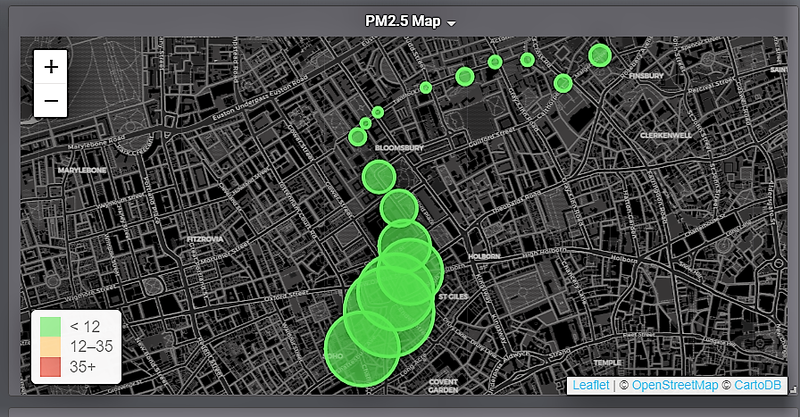 This shows how pollution levels are relatively low on a breezy day heading into Covent Garden. A larger circle size indicates more pollution. Drop us an email or volunteer to build or use a sensor. To give you an idea of the cost of making your own sensor its around £150 including postage for the bits and bobs you need. and then have a look at how it all used to be…. 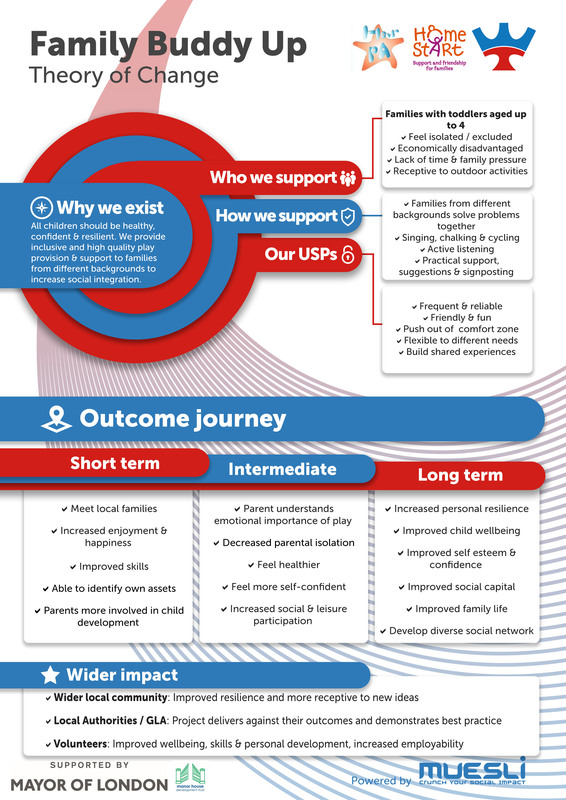 Oh my goodness me – the principles are the same but the delivery style quite different! Our all weather sessions running again this morning and here’s a clip from yesterday in Woodberry Down. Parent & toddler sessions – balance bikes , songs, chalks , snow! 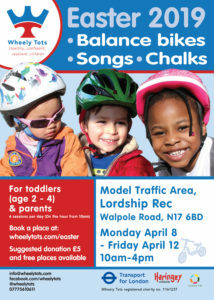 wheelytots.com/toddlers sessions running as usual this week. We have had a now very long standing aim to do snow angels……maybe today will be the day! 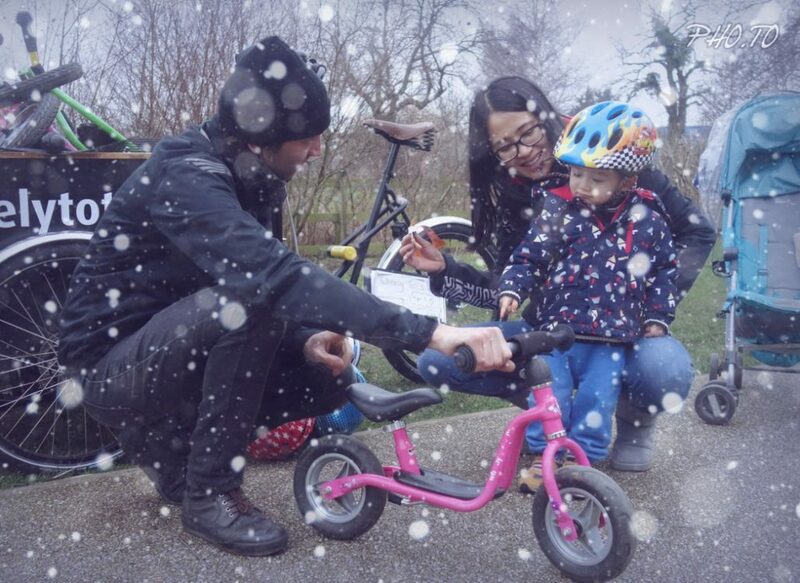 Please remember gloves, thermals, waterproofs (or lots of layers) for you and your toddler! As a reminder wheelytots.com/ride will be next to Clissold Park at Kings Crescent Estate this Saturday afternoon – come along! http://wheelytots.com/wp-content/uploads/2016/11/wheelytots_logo.png 0 0 wheelytots http://wheelytots.com/wp-content/uploads/2016/11/wheelytots_logo.png wheelytots2018-02-28 08:32:172018-02-28 10:23:04Parent & toddler sessions - balance bikes , songs, chalks , snow!